First night home and we are back on the straight and narrow. Tonight’s dinner is fish tacos and spicy black beans. It is so tasty and so good to be home but my friend and her health dominate my thoughts. 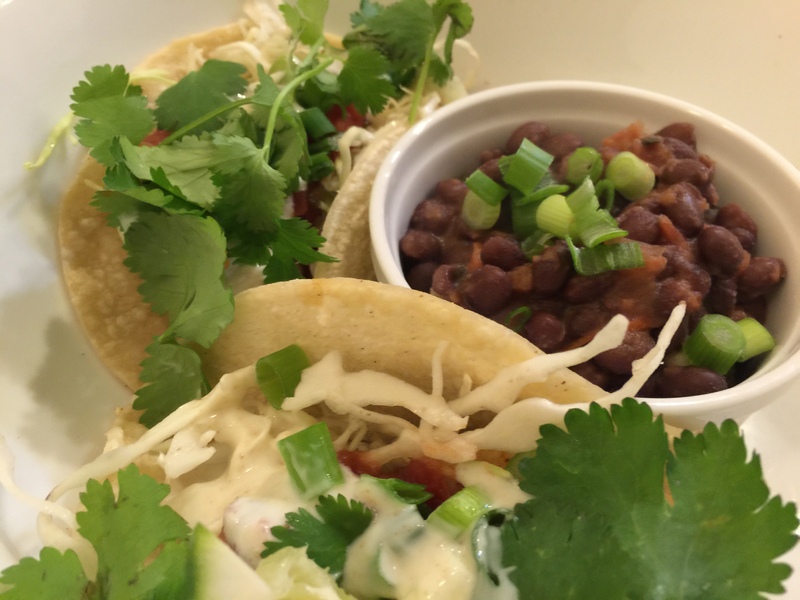 This entry was posted in Fish and tagged black beans, corn tortillas, crema, fish tacos, Pacific cod, salsa. Bookmark the permalink.